With the release of FFXIV patch 3.4 - Soul Surrender, many players complain about its content. I want to give some suggestions about this new content for FFXIV. To people who complain about the same-y content, I think that the main idea is that the "1 raid, 1 primal, 2 dungeons per patch" is the base of the patch, and the other things that come with the patch are the things they are trying to do different. Do take note that in the course of 3 major patches, and 3 mini patches, the team has implemented Lord of Verminion, the Diadem, the Palace of the Dead, the Aquapolis, and the Feast. That is a lot of content, especially comparing FFXIV to its close competitor, World of Warcraft. 1. Introduce a new post-expansion zone where which people can do daily quests and goals (think of Isle of Thunder/Timeless Isle/Tanaan Jungle in WoW). Maybe reintroduce the Diadem as a static, non-instanced zone with a daily quest hub that offers crafting rewards? 2. They can also try mixing up gameplay by adding more ways to play the game other than battle or trading quests. For example, think of the Beast Tribe quests where you ride Sanuwas or Kognamatos, but used to attack Garlean structures, or something similar. 3. Introduce a server-wide goal or effort for people to word towards, similar to the Gates of Ahn' Qiraj event back in Vanilla WoW, or the Isle of Thunder Progression in Mists. Not only will this foster server cooperation, but it can encourage people to pick up or do things they have not done in a long time. I have a couple of other suggestions in mind (i.e. A midcore raiding difficulty level), but specifically for new ideas, I think that's a good set of ideas to start in. 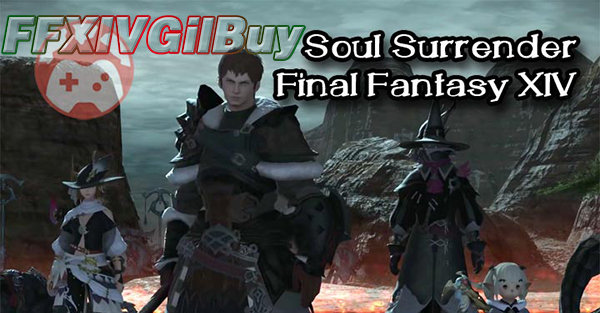 If you want to buy cheap FFXIV Gil, FFXIVGilBuy is your good choice with instant delivery and lowest price!